Click HERE for the Protégé Application. Click HERE for the Spouse Application. Click HERE for the Mentor Application. 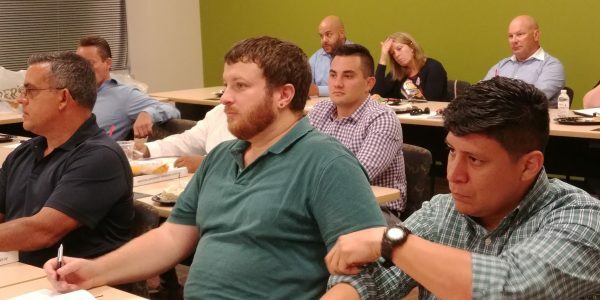 Each year, Camaraderie Foundation partners with local business members to provide a leadership program to assist transitioning service members in preparing for a career in the local community. In 2019 we are opening the class up to spouses. We will have two classes of 15 individuals each, one in Orlando and one in Tampa. This program is free of charge. The Mentor Leadership Program is a twelve month program consisting of classroom, mentoring, networking, and community service events. The structure of the Mentor Leadership Program initiative is based on the trust and understanding that is ingrained throughout Military Service Members. Veterans and their families have an understanding, code, and bond that civilians do not fully understand as they have not served. Through out Mentor Leadership Program, we offer the opportunity to build peer support, friendships, and guidance to help the Protégé Veterans and spouses become more successful in their community. Successful business leaders, some with prior military service, will serve as Mentors to selected Protégé Veterans and spouses at points of transition in their lives including: college students who will soon graduate, individuals seeking new careers, and individuals who will be transitioning out of the Military soon.